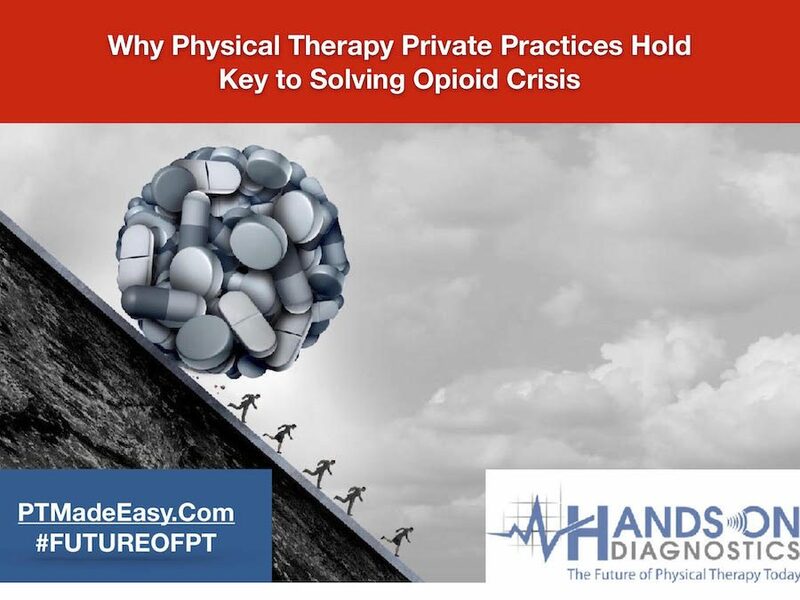 As physical therapy private practice owners, we have a responsibility and opportunity to help stop the deadly Opioid epidemic impacting every corner of our nation today. Sobering statistics from the National Institute of Drug Abuse report Opioid overdoses kill more than 50,000 Americans annually, which is more than all deaths due to cars, guns and falling. The American Physical Therapy Association, The Centers for Disease Control (CDC) and other organizations recommend physical therapy as a powerful way to help people manage their pain by seeking treatment from their physical therapist. This plan of pain management helps patients avoid taking dangerous prescription drugs to numb their pain or in many cases to avoid enduring numerous surgeries, which also may lead to an Opioid addiction. Read our blog, “A New Menace to Society” by Dr. Dimitrios Kostopoulos, here. The nation’s newest epidemic and how physical therapy holds the key to solving it. PHYSICAL THERAPY is the hope for tomorrow. Yes, you heard me right: Physical therapy is the hope for tomorrow’s society. Every day, over 115 people in the United States die from opioid overdose. There is tremendous misuse and addiction to opioids, such as prescription pain relievers, heroin and synthetic opioids (e.g. fentanyl). And this has become a national crisis that affects public health as well as social and economic welfare. So how did this happen? In the late 1990s, the pharmaceutical companies assured the medical community that patients who would be prescribed these prescription opioid pain relievers were not going to become addicted. So healthcare providers began to prescribe them at greater rates. At this point, more and more Americans become addicted to opioids because physicians frequently prescribe them to their patients as a quick solution to chronic pain. Roughly 21- to 29% of patients prescribed opioids for chronic pain misuse them. Between 8-12% of patients develop an opioid usage disorder. Four- to six percent of those using opioids transition to using heroin. And 80% of people who use heroin, first misused prescription opioids. Therefore, it is very evident that the medical profession—to a greater or lesser degree—has betrayed society. Bound to a pharmaceutical industry, the medical profession, with the over-prescription of opioid medications as the easy solution to patients’ problems, continues creating a menace for our society. So what is the solution? Besides education (which is a very important solution to the problem), the physical solution to this problem are treatments and therapies that can help patients without the use of such opioids. This is where physical therapy comes to play a very important role by providing treatments that are effective to patients’ problems—especially to those with chronic pain. Physical therapists rely on a variety of physical tests to identify a patient’s dysfunction. These tests are usually performed during their initial evaluation. And these tests may include both orthopedic and neurological tests to identify a specific pathology. 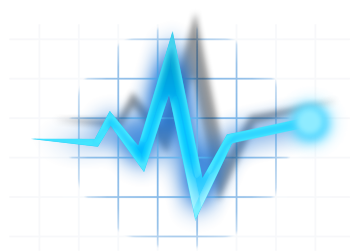 These physical examination tests have a certain degree of sensitivity and specificity. And to the degree they are reliable, they can identify the specific pathology of that patient. However, most of these tests have lower degrees of sensitivity, which allows a large degree of problems to be overlooked, misdiagnosed or undiagnosed while patients continue suffering from pain. When the real source of the problem of the patient is not diagnosed and remains untreated with physical therapy, the physical therapy outcomes will be poor or mediocre. This leads to continuation of the patient’s problem, disappointment and dissatisfaction from the patient’s side, and relegates the patient to opt for resources such as opioid medications. The same way we use our physical examinations to evaluate patients each and every day, medical doctors diagnose patients with various diseases and disorders based on their own physical examinations, but also laboratory reports and tests that can provide a more accurate indication of the source of the patient’s problem. In a recent article in Muscle & Nerve entitled “The Usefulness of Electrodiagnostic Studies in the Diagnosis and Management of Neuromuscular Disorders” by Heather Lindstrom, MD, and Nigel L. Ashworth, MB.ChB., MSc, they delve into this discussion. The purpose of their study was to “evaluate the usefulness of electrodiagnostic (EDX) studies in terms of the patient’s diagnosis and subsequent management, and to identify patient groups where EDX is particularly useful.” “In this extensive review, electrodiagnostic studies led to a change in diagnosis in more than half the patients in this study, and led to a change in management plan in more than 60%. In nearly half (46.5%), the studies confirmed the suspected diagnosis,” said Zachary Simmons, MD, Editor-in-Chief, Muscle & Nerve. But how about physical therapy?Would the same apply? In a pilot study performed in multiple centers by members of Hands- On Diagnostics, our team identified that physical therapy management changed in 62% of patients post-EMG- and post-MSKUS testing in each group. Twenty-six percent of patients in the MSKUS group were referred to the physician and received either a non-surgical or surgical intervention. Sixteen percent of patients in the MSKUS group had a significant change in the physical therapy management post-MSKUS test. In the EMG group, 28% of the patients were referred to a physician and received either a surgical- or non-surgical intervention, while 16% of patients in the EMG group had a significant change in their physical therapy management post-EMG test. But the most striking finding was that between 88% to 90% of patients who received EMG or ultrasound testing agreed, or strongly agreed, that they were better able to understand their problem, they agreed they were reassured about the problem and they agreed that they were better able to manage the problem with highly perceived value of the testing. Obviously, this pilot study demonstrated a significant impact in clinical decision making and high levels of patient satisfaction and value with the use of physical therapy practice-based EMG and MSKUS testing. A follow-up with hundreds of patients in a multitude of physical-therapy-owned diagnostic centers around the country is currently taking place and we anticipate publishing those results shortly. It becomes apparent that if we want to be more effective with our patient treatments and if we want to make an even bigger difference in our patients’ problems, we have to be more effective and more accurate in the way we diagnose patient problems. The more accurate our physical therapy evaluation and diagnosis is, the more precise and more effective our treatments are and we will obtain better patient outcomes.